You recently read an excellent book on strategy. Your financial institution faces challenges... economy is crawling at road-kill pace, customers struggling to remain current on loans, regulators breathing hot and heavy down your neck. You need to assemble the team, assess your situation, chart your course. So you schedule a strategic planning retreat. Your strategy team wonders how they should prepare. Or will this be a brainstorming session? Although so many decisions are made "from the gut", I put to you that your strategic direction should not be one of them. But so often I see strategic decision makers enter the fray with little more than their past experience and a truckload of anecdotes as their guide. This, to me, is like bringing a knife to a gunfight. So often strategic leaders assume their bank occupies a superior position based on nothing more than a customer comment heard during the past year. But does the FI truly have a superior position and if so, should the strength be exploited as a competitive advantage within the strategy? This requires discipline because there is a lot of data out there. I once proposed a banker education session titled "Big Data: Big Advantage or Big BS" (Note: I did not use the acronym BS). Cheeky subject line. It didn't get selected. But the point here is to use data that is reliable, relevant, and not BS. Regarding how data influences strategic decisions, I once had a CEO tell me that when rates rise, his closest competitor will have to lead the market in deposit rates because of that bank's interest rate risk and liquidity positions. That is an important piece of strategic information he knew about the competition because he researched the competition. Positioning yourself for such an eventuality helps increase the liklihood you will successfully execute strategy. As Sun Tzu said over 2,000 years ago in The Art of War, "he who knows the enemy and himself will never in a hundred battles be at risk". How well do you know the competition, your customers, your markets, and yourself? What other information should strategic decision makers bring to the strategic planning retreat? Most of the information needed to make decisions is seldom/never available during strategic planning sessions, and yet it is during these retreats that decisions are expected to be made. Not that I'm really looking to pick a fight with you on this, but having been involved with so many strategic planning sessions over the past 20 years, my first reaction to your post was to groan. Not only is JP correct regarding the availability of the data, but even if the data was available, it would be overwhelming for anybody to assimilate and comprehend. I've seen a number of blog posts that talk about strategic planning sessions and how to structure them, and they all seem to start with the unspoken assumption that the future is greenfield, and that what's happened in the past can be corrected and fixed by simply coming to a few decisions, embodied in some "strategic plan" over a nice, leisurely three-day offsite with plenty of time to play golf in-between sessions. I think it's great for FIs to treat their board members to a three-day vacation. But let's stop fooling ourselves into thinking it produces anything of value. I detect a fair dose of cynicism here! I wish I could refute the comments for many if not most FIs. But they are consistent with my thought that we have not taken strategic direction in banking very seriously. Mostly because of how highly regulated we are, but also because of the underlying premise that a "bank is a bank" (or thrift is a thrift, or credit union is a credit union). But one of our clients determined some years ago that it was not adding value to their franchise by continuing to fund their high powered loan generation machine through rate promotions or wholesale funding. They set out to diversify funding sources to lower cost of funds and have multiple avenues to turn to fund the pipeline. They wanted both sides of their balance sheet to add value to the franchise. 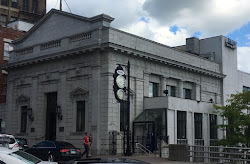 What resulted was an institution that has improved core deposit generation and core customer acquisition in the branch network, an Internet branch that attracts rate-sensitive deposits but is also turning a portion of those customers into relationships, a new municipal banking line of business, and a strategic effort to attract business customers. I don't think they would have determined to undertake the effort had they only played golf... and today they would be shrinking their bank because the declining loan demand did not need the wholesale funding. Instead, they have core relationships on both sides of their balance sheet. They could have just determined to go from 58% time deposits to total deposits to 56%. I think those that do not undertake the effort to determine where our industry is going and how best they can succeed in it will simply not succeed. As the Roman philosopher Seneca said, if one does not know to which port he is sailing, no wind is favorable. That's my dead white guy quote of the day.